This is me getting waxed, plucked, tinted and lashed! By the time I book my appointment, my brows are furry, my lashes are wonky and I have some serious bald patches where the old ones have fallen out. After a pamper session with the amazing Lash Me crew- I leave feeling fabulous! Check out the difference in old left eye to shinny new right eye in this picture! From furry, baldy and wonky to full, neat and fabulous! 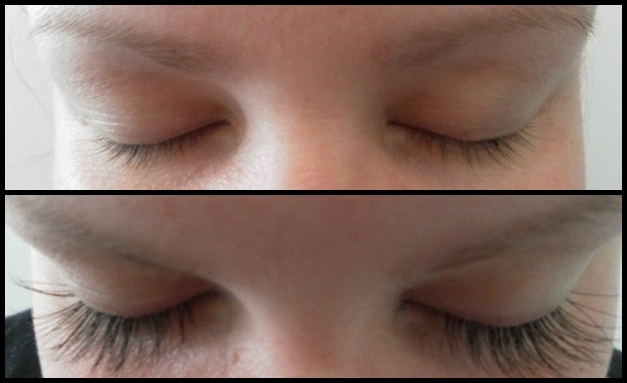 For those who haven't seen before- at the top here is what my normal lashes look like. I feel so glamorous and ready to rock with my Lash Me lashes and I am definitely hooked!! What's your biggest beauty indulgence?? Wow!! How beautiful they look! I would love to get eyelash extensions, but I can't afford them! They look so goooood though! Hmm, my biggest beauty indulgence? I'm not really sure I have one. I think I actually tend to be more low key then most girls. I do everything myself. Plucking, shaving, painting my nails. If anything it would just be the cost of the products I use! I really want to get some lash extensions. Problem is, no one does is here where I live! AND in Chicago, they are cRAZY expensive! Like, indulgence X10! 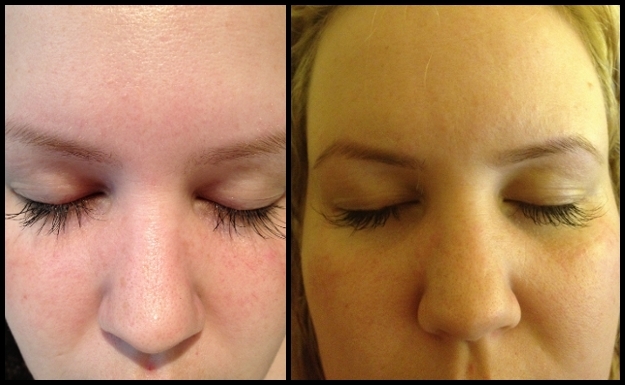 I had no idea that such a thing as lash extensions even existed! Wow, they look great! It looks painful but at the same time AMAZING! Beauty is work and I don't know that I would've had the guts to show myself pre "ready face". Great post girlie and those lashes are gorge! painful but worth it!!! you are pretty dear and i love your blog... you are a powerful woman who is not afraid to bare it all... following you now..hope you could visit my blog too..kissess!!! ..I love lash extensions ..it's an instant Chic ..
beautiful post! !i'm following you! !if you like mine, do the same!!!! wow what do they do to your lashes? My daughter would LOVE the extensions...she gets her eyebrows threaded, just looking at them do it makes me cringe, lol.....yours look fabulous!! You know I've never actually waxed my eyebrows - I know, I know. My eyebrows/lashes are extremely light and they don't seem to grow too much but I would probably do it one day. The lash extensions are absolutely gorgeous! My biggest beauty indulgence use to be expensive perfume but now I don't even do that. Sometimes I get my hair done which is a bit expensive but it is a rare thing. Wow those look AMAZING!! The before and after pictures I've seen looked nowhere as good as yours!